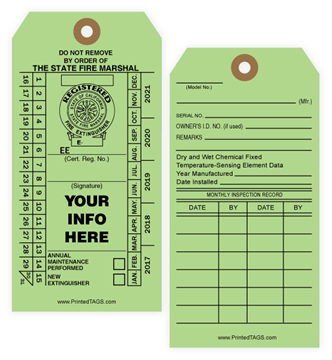 Fire Extinguisher Tags indicate when a fire extinguisher is due for inspection, as well as instructions for how to use it. 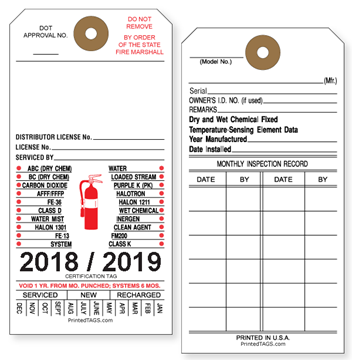 Bright colors make our Fire Extinguisher Tags noticeable and easy to read. 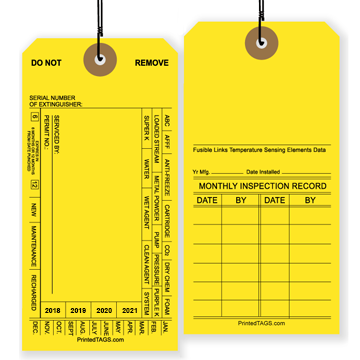 Make sure your extinguishers comply with all local safety regulations. 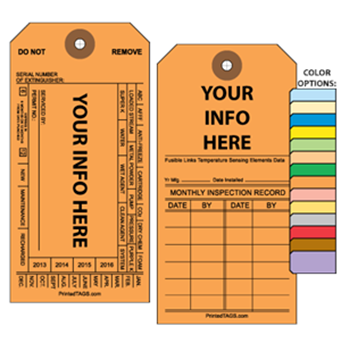 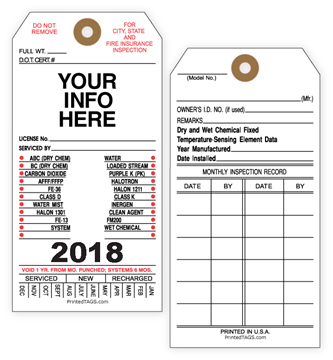 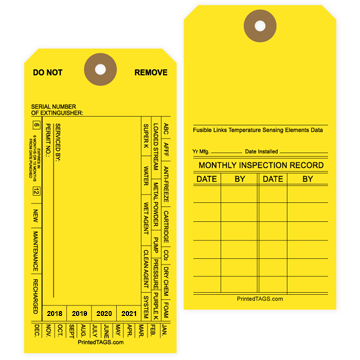 Create a custom design or select a blank tag with room for stamped, hand-written or label information.